Adapts to a 7/8" - 1-1/4" round or 1-1/4" square rail. 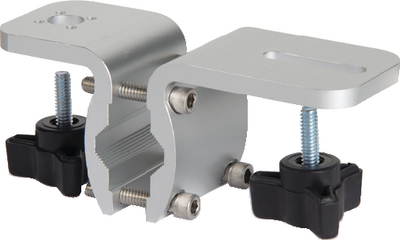 A direct over the rail mount with no overhang. Works with all current models of Kuuma grills, Will not fit older models with a square regulator box.